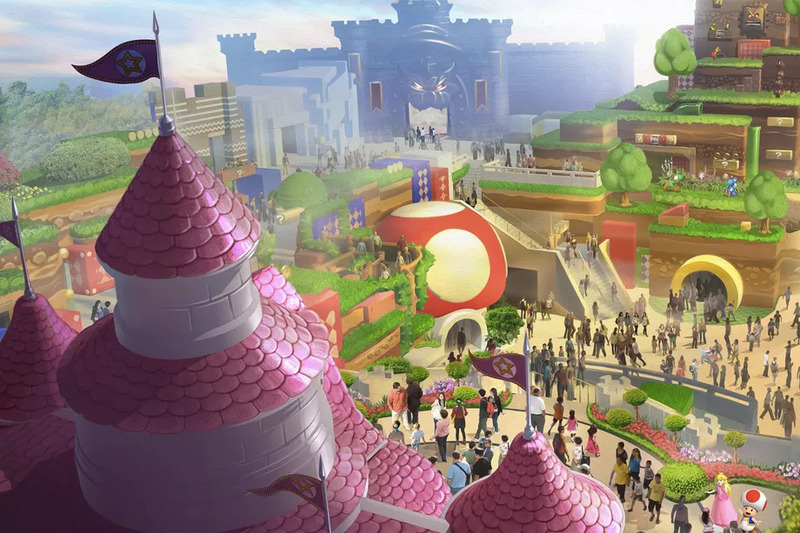 Super Nintendo World land is coming!! A couple months ago Nintendo and Universal Studios announced that they will be working together to create Super Nintendo World area for their Japanese and American theme parks. Recently they have released an artist’s rendering for what the park might look like (you can view above). They have also recently announced that the Japanese version should be ready by the 2020 Tokyo Olympics. Based off designs, we know that there will be a Mario Kart inspired ride and a Donkey Kong inspired ride, both which are perfect for a theme park. This means that within the next five or so years, a Star Wars land and a Nintendo will exist to visit. The teenager inside of me is screaming for joy. You can read more about it here.